You know you shouldn't, but the temptation of forbidden fruit is too sweet to pass up. Whether you prefer the taboo of student-teacher, the allure of a wickedly handsome stepbrother, or a dangerous mafia prince, this anthology will ignite your fantasies. 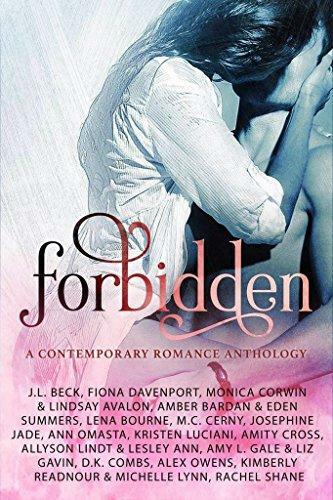 Indulge your hidden desires this summer with FORBIDDEN, a scandalous anthology collection comprised of 16 new and exclusive short stories from today’s bestselling and award-winning contemporary romance authors. One click today to discover what it’s like to live a life full of passion and secrets.